I am a big fan of not only chia puddings but chia gel, and pretty much all things chia! I think these little seeds are amazing, there are so many health benefits, and I am always looking for new things to do with them. I have been adding, and or chia gel, them to smoothies, juice, and drinks. For New Years I thought I would have a little fun and make a sparkling version! 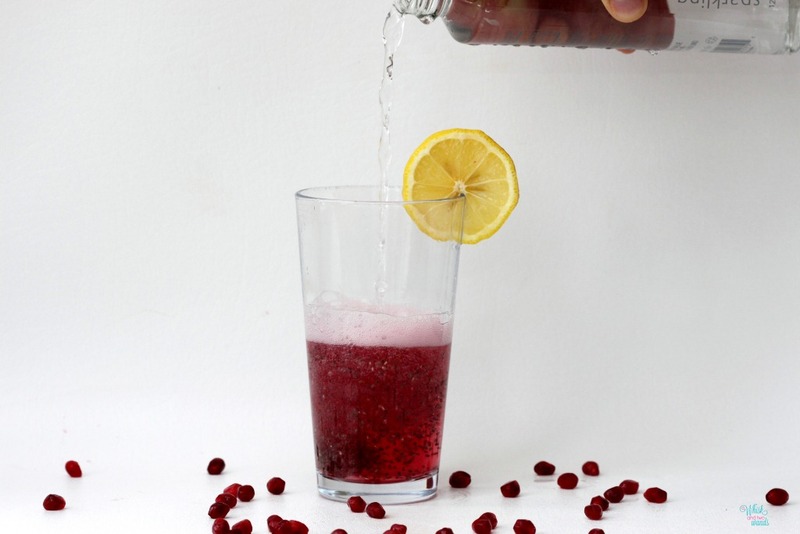 Below is how I make my Pomegranate Chia Sparkling Water. However I customize it based on how I feel sometimes adding more juice, sometimes a splash of lemon or orange, sometimes more chia. So have fun and customize yours as you go to suit your own tastes. The girls like less chia and more juice. Cheers to a Happy and healthy New Year!! 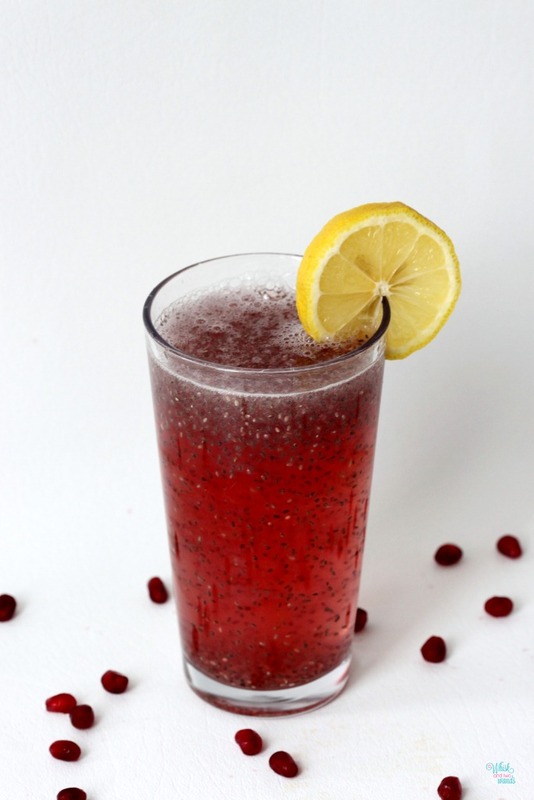 * This can also be made with plain filtered water or coconut water. As well as just lemon or other flavors, as seen in photos. 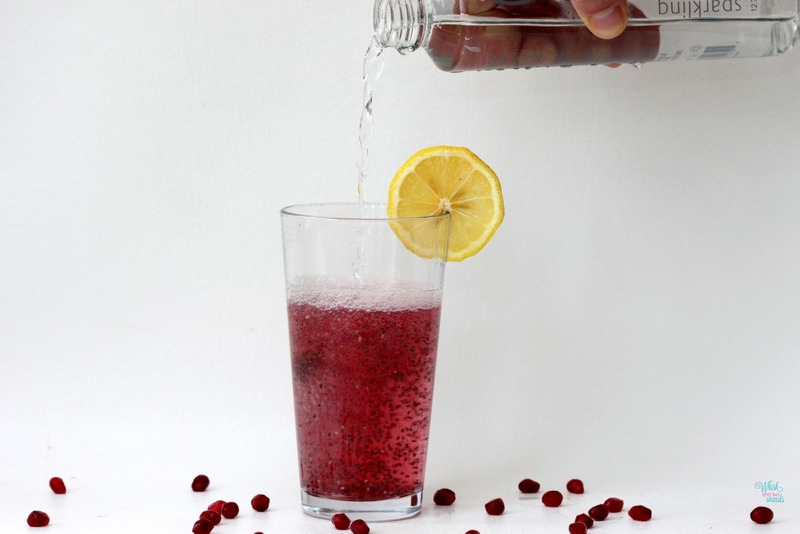 Mix together chia gel, pomegranate , and lemon juice in a glass. 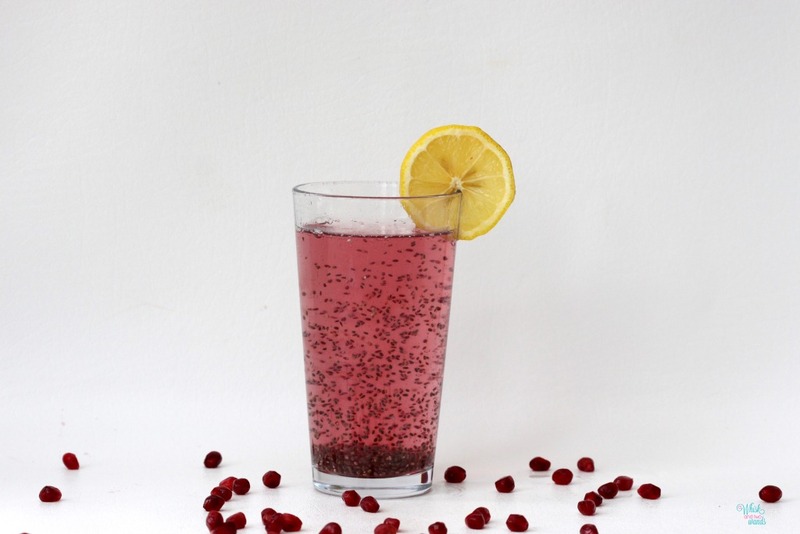 Pour sparkling water over top. Enjoy! 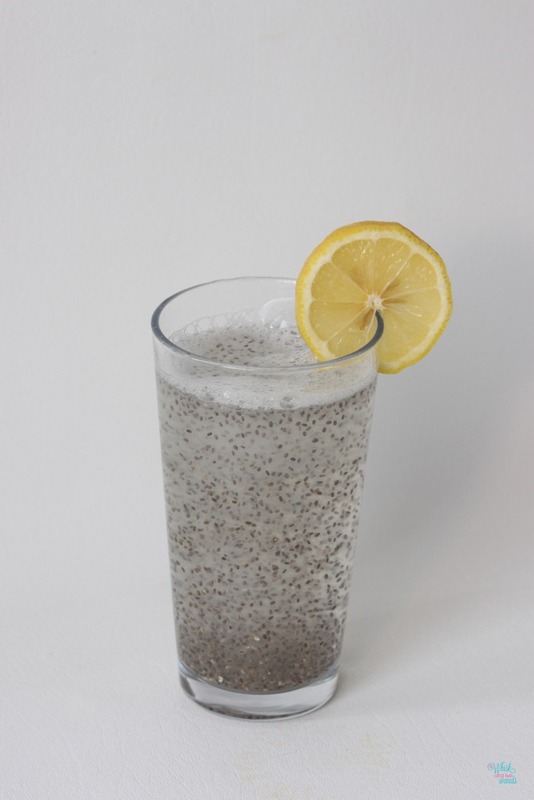 Mix together water and chia seeds and let sit for 15 minutes until a thick gel forms. I usually make mix mine and place in the refrigerator overnight.